This monotypic species is distributed in Armenia and Kurdistan. In Armenia it occurs only in three spots in Central part of the country, inhabiting mountain meadows at 2000-2500 m a.s.l. The larval host plant is Vicia spp. and the females are strongly adjusted to those patches. 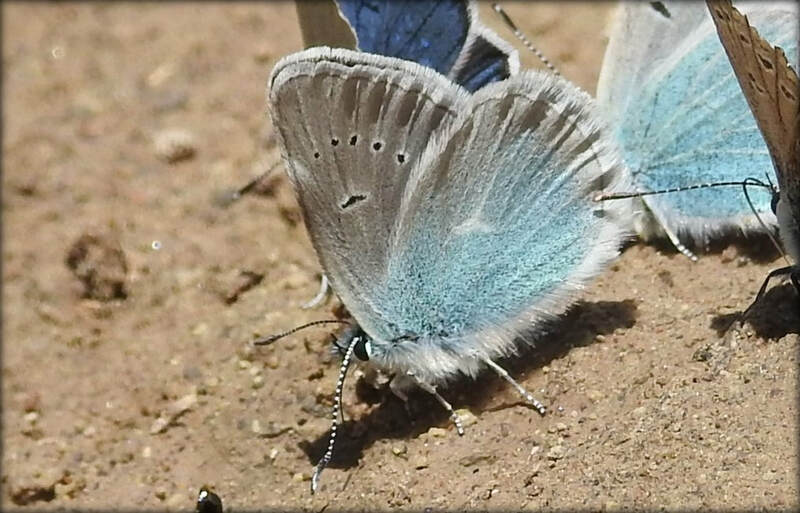 However males can fly couple of kilometers from the core habitat to watering places. The species has very patchy distribution and in the typical habitat is rather common; however outside it becomes very rare. The exception is made by males, which move down through the valley for watering and can occur there in a quite high abundance. The population trend of the species during 2003-2013 remains stable (p>0.05) although some strong fluctuations often occur. Potentially all the sites are vulnerable towards intensive grazing and uncontrolled mowing, which can be resulted by ongoing intensification of livestock husbandry in Central Armenia. The species is not included in the Global and European Red Lists, as well as in CITES and Bern Conventions, but is assessed for the National Red List as Endangered EN B1a+B2a. The assessment appears adequate especially because none of the ranges of Diana Blue in Armenia is covered by Protected Areas or Emerald Sites. Among the potential Prime Butterfly Areas there are three, which need further assessment and approval: Geghadir, Hatis, and Kakavaberd. 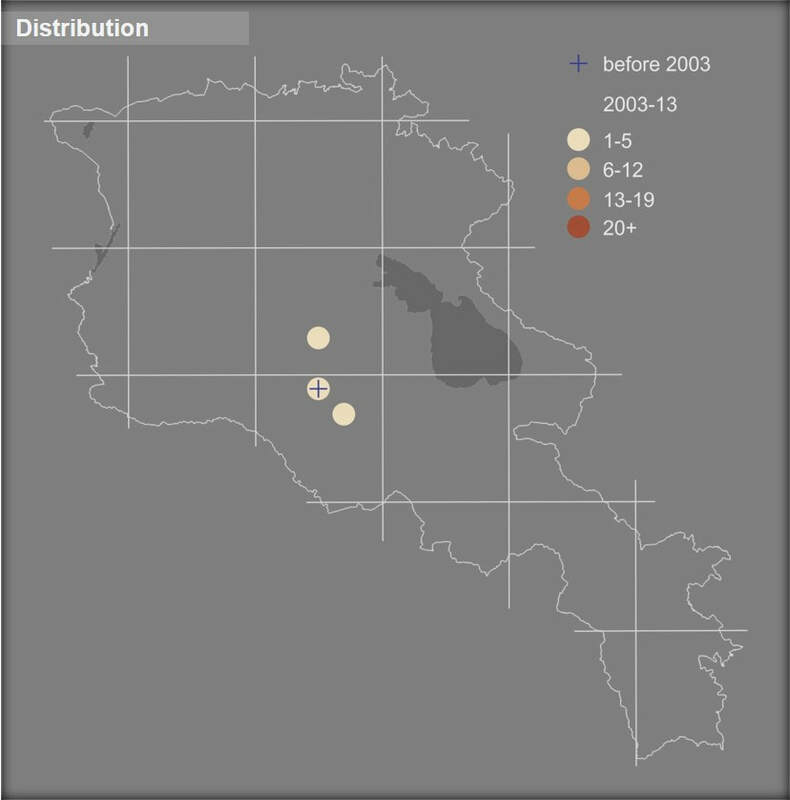 Thus among essential conservation measures there are: (1) assessment of global conservation status of the species for expanding the conservation opportunities not only in Armenia but also in Turkey; (2) assessment of the spots of species' distribution as Prime Butterfly Areas, with further transformation of those into Emerald Sites, and development of management plans for those sites; (3) involvement of local communities into conservation of the species, via marketing of butterfly-watching tours using Diana Blue as one of the main targets and flagship species. The current assessment of the species was supported by Mohamed bin Zayed Species Conservation Fund.